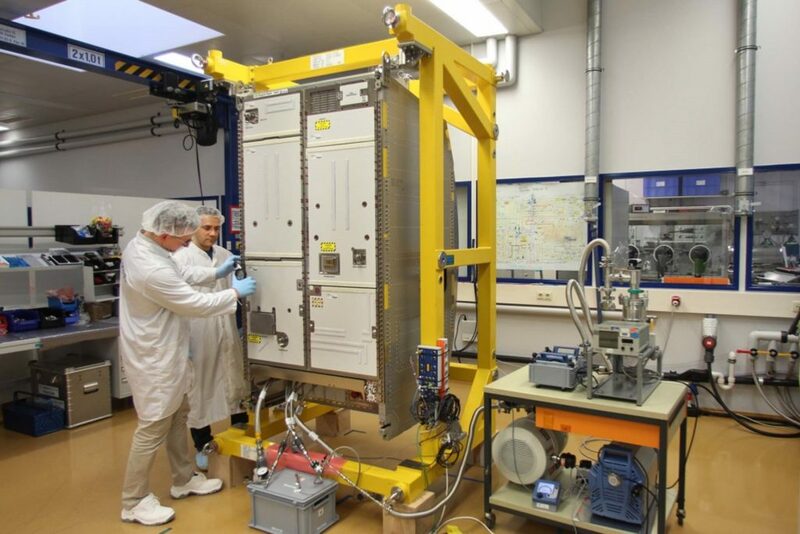 The Advanced Closed Loop System (ACLS) is an advanced life support system that has been developed by Airbus for the European Space Agency (ESA) to be used as a technology demonstrator on the ISS, in the Destiny module, from summer 2018. The ACLS will be installed in the HTV-7 space transporter at the Tanegashima Space Center in Japan and is due to be transported to the ISS in August 2018. It is set to be operated for a period of one year. The ACLS will purify air and produce oxygen for the International Space Station (ISS). Specifically, the ACLS extracts a portion of the carbon dioxide in the cabin atmosphere. Then, using hydrogen obtained from splitting water molecules, it will convert the carbon dioxide into methane and water in what is known as the Sabatier process. Oxygen is then produced from this water using electrolysis. Airbus asserts that this will increase overall system efficiency and hence reduce the need for supplies from Earth. The main advantage claimed for the ACLS is the use of the adsorbent Astrine, a solid amine resin, which has a high adsorption capacity even at the carbon dioxide levels in the cabin air. The ACLS will be contained in an International Standard Payload Rack (ISPR). A future use for the ACLS may be for the Deep Space Gateway / Lunar Outpost. NASA is reported to be looking to the ESA for part of the habitat. ACLS technology demonstrator generates oxygen and water in a closed system Airbus, 19 March 2018. Airbus transports new life support system for International Space Station Stat Times, 20 March 2018. Stuart Nathan, Preparing for the Deep Space Gateway, The Engineer, 15th May 2017.